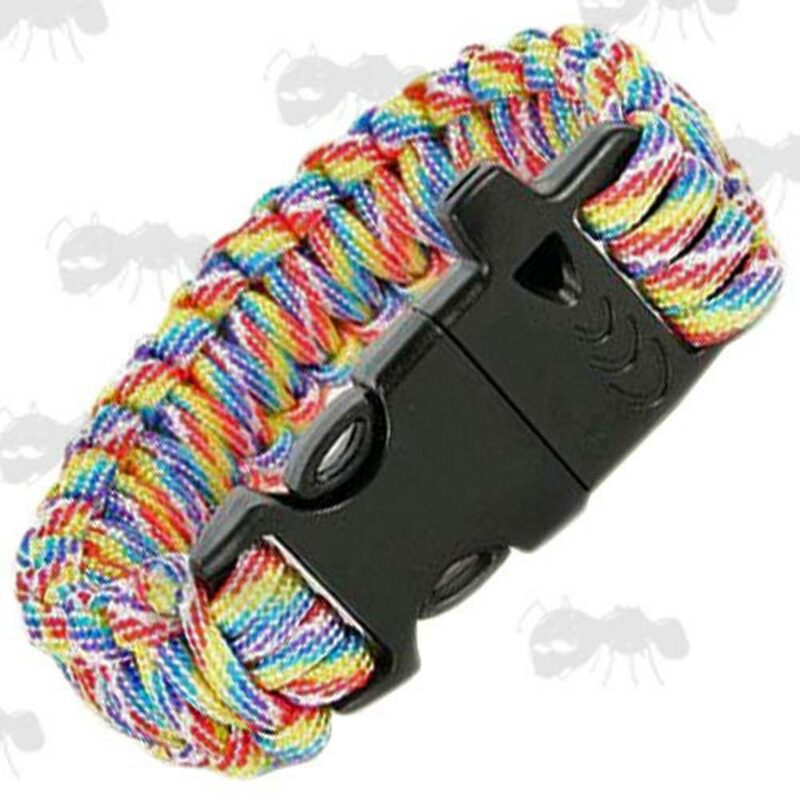 Weighs approx 30 grams and fits wrists from 7 to 9 inches in circumference. 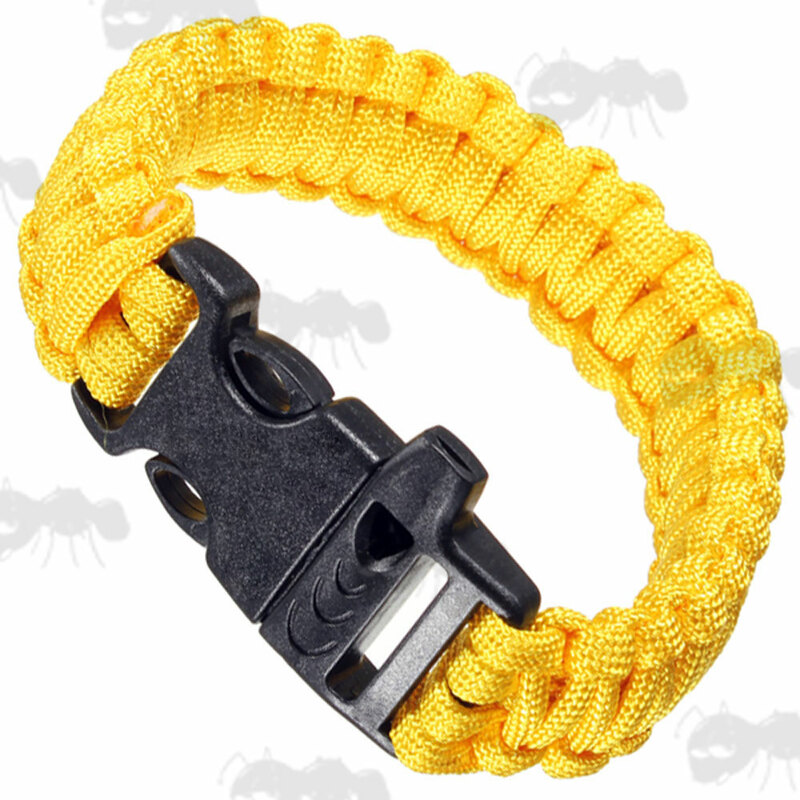 Each bracelet offers a strong ABS side-release buckle with integrated emergency signal whistle. 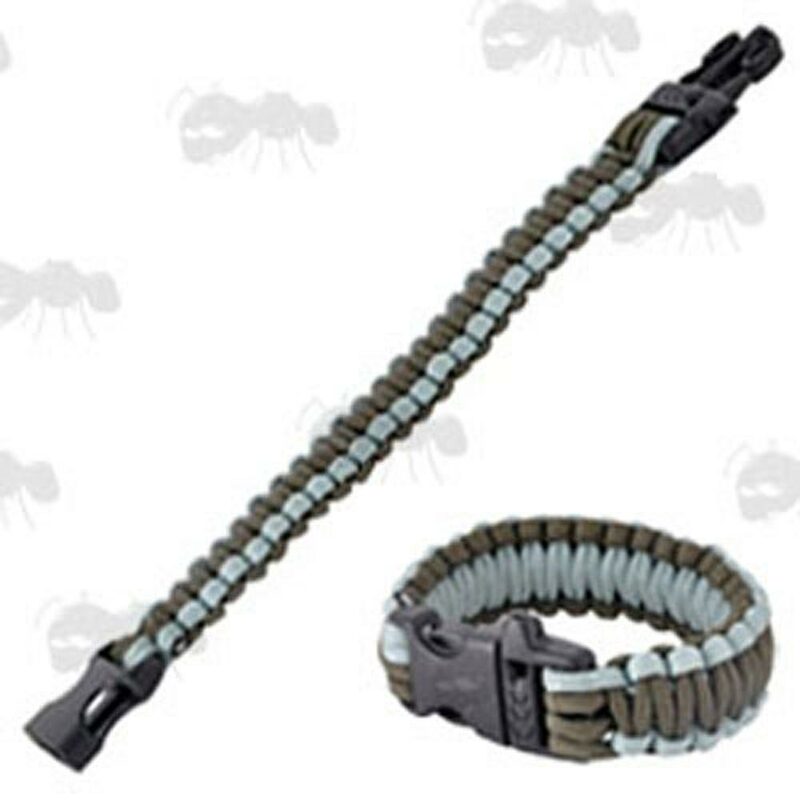 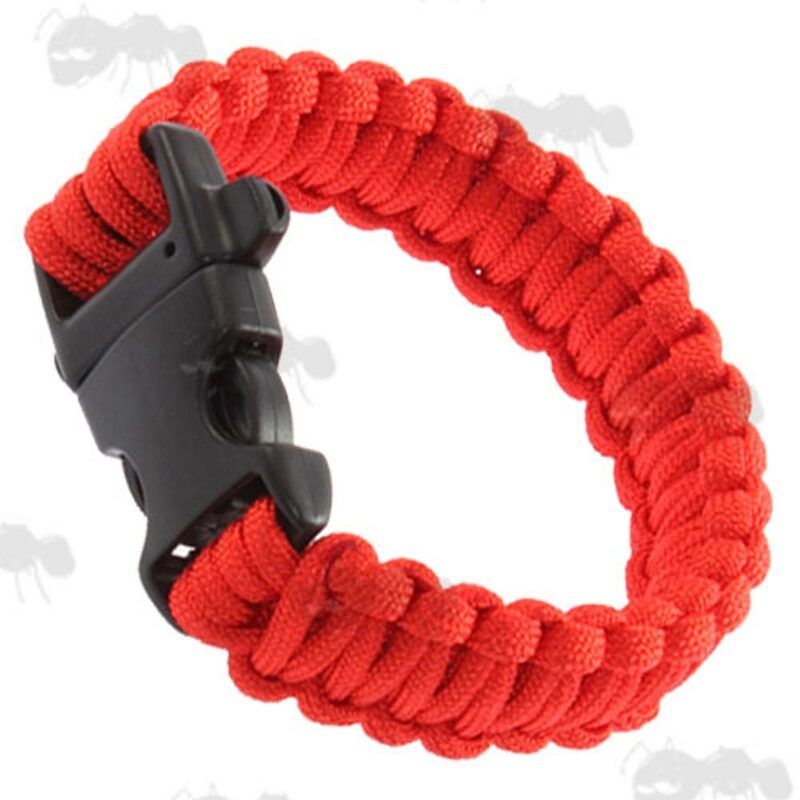 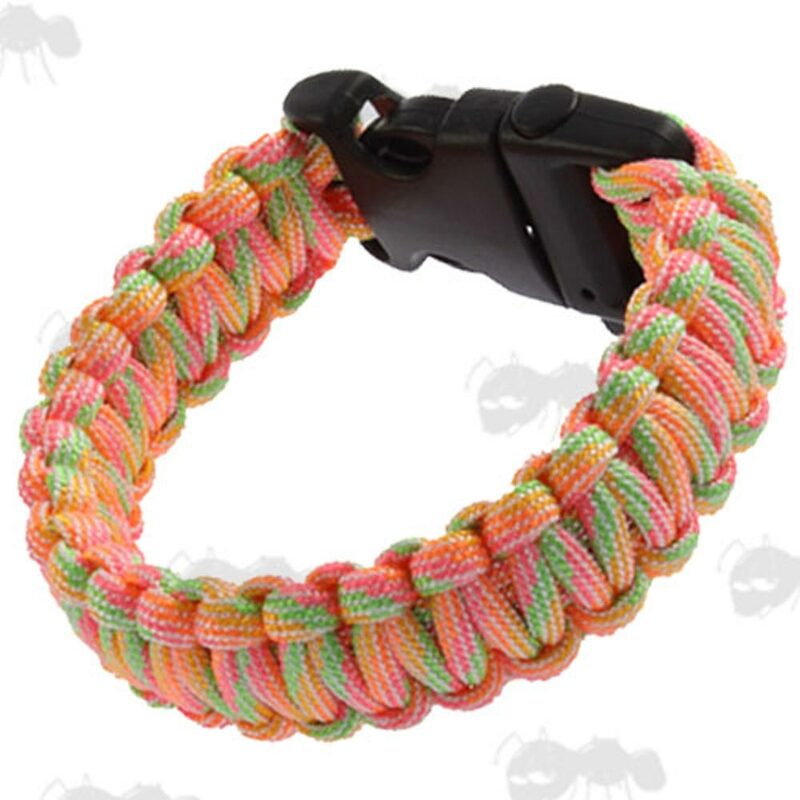 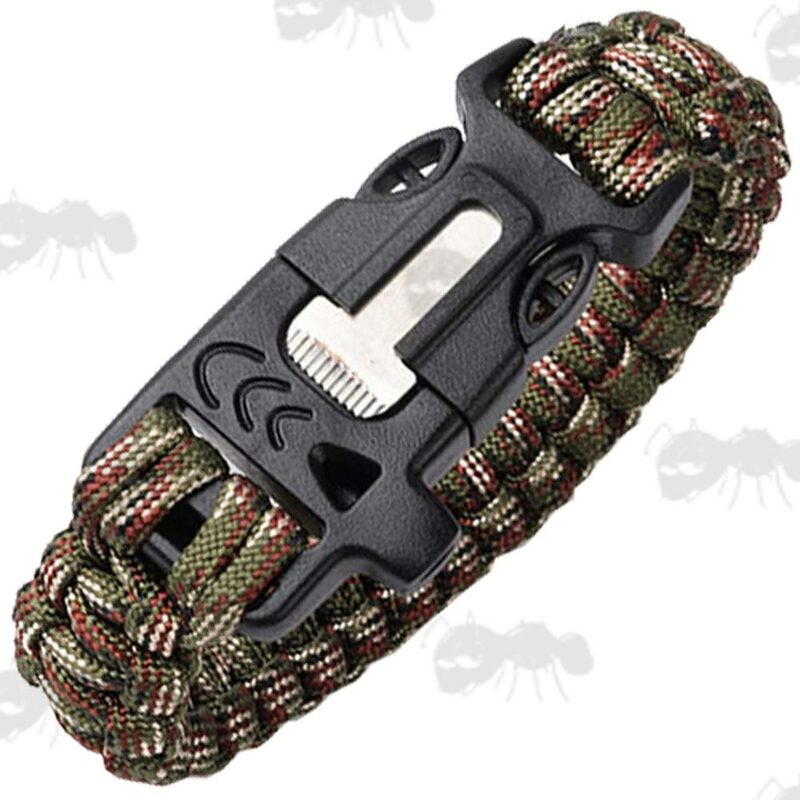 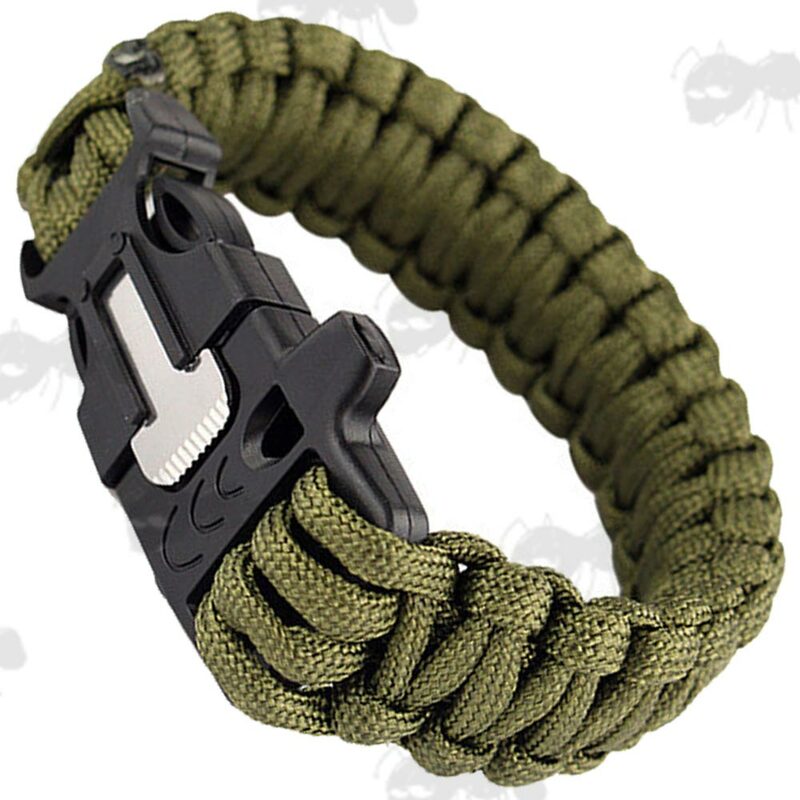 The bracelet can be unwound in survival situations to produce more than 14* feet of usable survival cord. 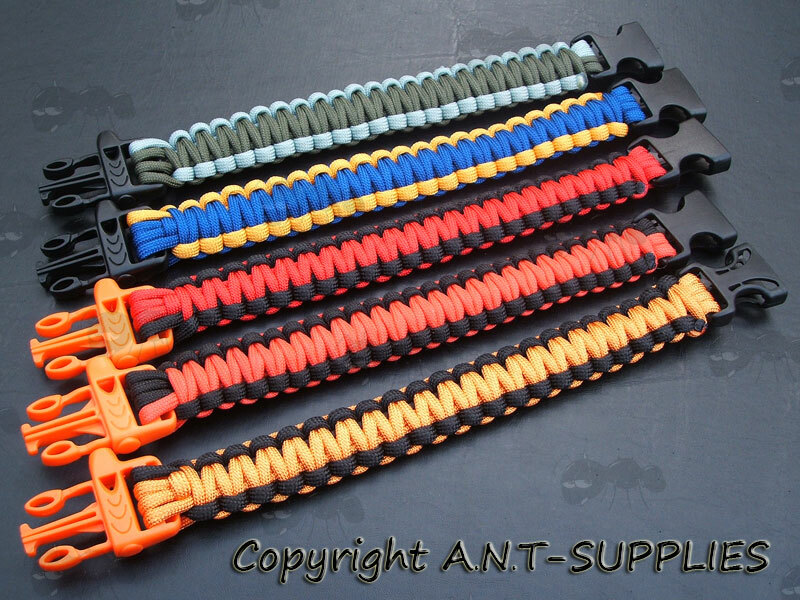 Please note some colour options have a fire starting flint whistle buckle. 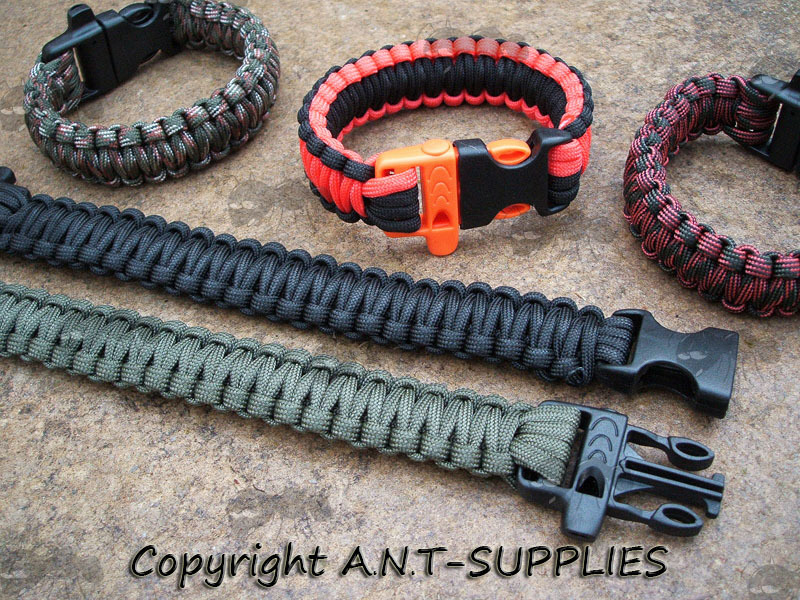 *The two tone bracelets are the same specs as with the other bracelets but are made from two lengths of approx 7 feet of paracord. 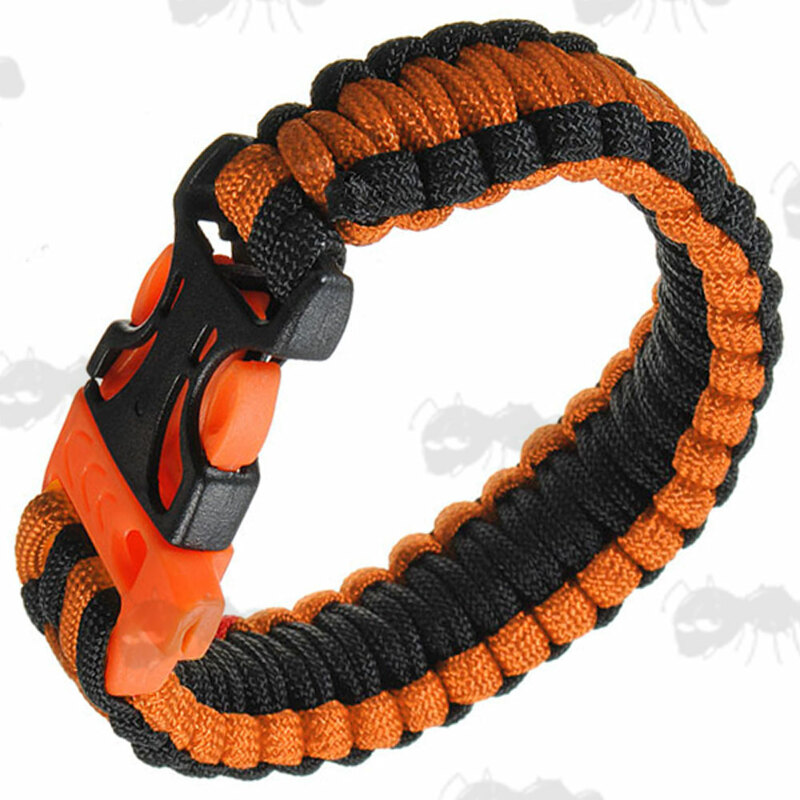 Please note the black and orange bracelet currently has an open design buckle.